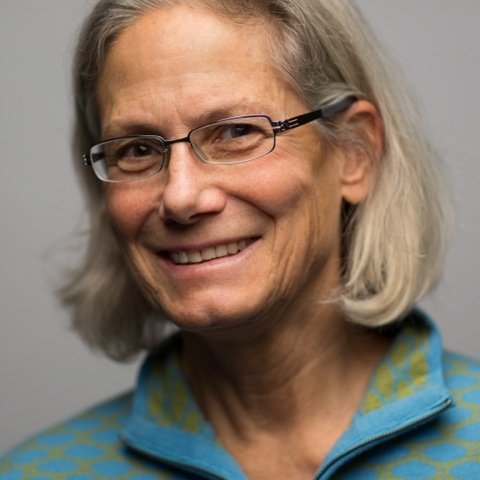 Terrie Klinger is the Director of the School of Marine and Environmental Affairs, Co-Director of the Washington Ocean Acidification Center, and holds the Stan and Alta Barer Endowed Professorship in Sustainability Science in Honor of Dr. Edward L. Miles. She is a marine ecologist focused on applying ecological theory to practical management solutions. She studies ecosystem-based approaches to managing natural resources in the ocean, the ecological effects of environmental stressors, such as ocean acidification and habitat loss, and how rocky intertidal communities respond to and recover from disturbance. She is the principal investigator on a National Science Foundation IGERT award– shorthand for Integrative Graduate Education and Research Traineeship – focusing on how oceans are changing worldwide and what that means to the human communities connected to them. The Pacific Northwest is her primary study area, including the Puget Sound, the San Juan Archipelago, and the outer coast of Washington, and she maintains a time-series of ecological data at a site in the Gulf of Alaska. She has been recognized for her combination of marine science and public engagement with the UW’s Outstanding Service Award. She was named Naturalist of the Year by the Western Society of Naturalists and recently was honored with the Seattle Aquarium’s Conservation Research Award. Dr. Klinger received her Ph.D. in Biological Oceanography from Scripps Institution of Oceanography. 2017 Klinger T, Chornesky EA, Whiteman EA, Chan F, Largier JL, Wakefield WW. Using integrated, ecosystem-level management to address intensifying ocean acidification and hypoxia in the California Current Large Marine Ecosystem. Elementa, in press. 2016 Hillier A, Kelly RP, Klinger T. Narrative Style Influences Citation Frequency in Climate Change Science. PLOS One 11(12): e0167983.